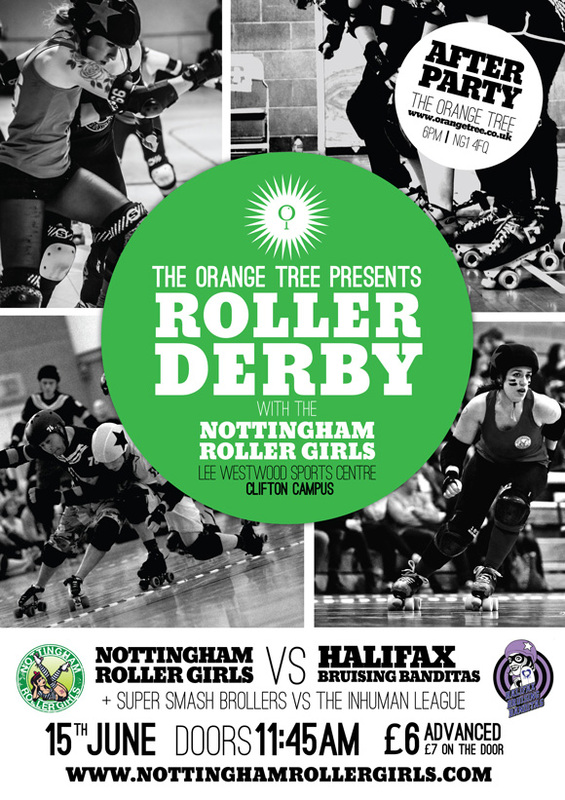 Nottingham Roller Girls have announced their first home bout of the summer against Halifax Bruising Banditas and by all accounts it’s gonna be one hell of an event. In the men’s opening game, Super Smash Brollers will go head to head in their debut bout against The Inhuman League. With both teams competing in The Men’s European Roller Derby Championships in July, the entire derby community will be watching to see if they have what it takes to bring the title back home to their city – no pressure gents! Nottingham Roller Girls are fresh from a victory against Hereford and they have been putting in the training hours and getting involved in scrims and mixed bouts up and down the country, heck, even the freshies don’t smell so fresh anymore. There’s a growing sense of unity and determination in the home camp but that’s not to say they’re taking anything too lightly. The Banditas have been at it too, building up a steady number of bouts and scrims in the past few months alone. Add to this a newly designed bout top we’re expecting to be in for a tough game; we’ll certainly be keeping a close eye on the score when they showcase those threads against Hulls Angels Roller Dames this weekend. If Halifax are on a winning streak they certainly won’t be giving it up that easily but NRG are adamant that they mean business; this league has been a long time in the making and it’s now or never to make their stamp on the UK Derby scene. I for one can’t wait. Doors open at 11:45 am on June 15th 2013. This entry was posted in Events by FeartrixRotter. Bookmark the permalink.